Elisa A. Burgess, M.D., F.A.C.S. Together with her talented staff, Dr. Burgess can make your surgical experience comfortable, positive and rewarding. You will find that we offer the most advanced plastic surgery techniques available along with the kind of personal attention that you deserve. 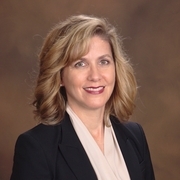 Dr. Elisa A. Burgess is a board certified plastic surgeon practicing in Lake Oswego, Oregon. She specializes in a wide variety of plastic surgery procedures, including cosmetic and reconstructive procedures for the breasts, body contouring and facial rejuvenation. With each patient, Dr. Burgess assembles a truly comprehensive package of elements that determine your own ultimate vision: form, shape, function and balance to help you achieve your dreams of natural beauty and self-confidence. Visit our website at www.BurgessPlasticSurgery.com for more information. 20 year old female with Saline Breast Augmentation. Patient has 300 cc (final fill) implants to bilateral breasts. Photos are 6 months post op. 5'11" & 140 lbs. 30 year old female with Bilateral Saline Augmentation with Benelli Mastopexy. Patient has 275cc implants to bilateral breasts. 5'6'' and 105 lbs. 55 year old female with Saline Breast Augmentation with Benelli Mastopexy (Lift). Patient has 300cc (final fill) implants to bilateral breasts. Photos are 10 months post op. 5'6" & 122 lbs. 38 year old female with Saline Breast Augmentation and Benelli Mastopexy (Lift). Patient has 390 cc (final fill) implant to bilateral breasts. Photos are 6 months post op. 5'2" & 129 lbs. Sólo tienes que subir tres fotos estándar ahora para ver una simulación 3D en tu próxima cita con Elisa A. Burgess, M.D., F.A.C.S.. Visualiza tu cuerpo o rostro actual en 3D antes de la consulta y obtén acceso desde casa a tu nueva imagen después de la consulta para poder compartirla con amigos y tomar una mejor decisión. En tu próxima cita podrás descubrir tu nuevo yo al obtener todos los consejos de Elisa A. Burgess, M.D., F.A.C.S. Después de la consulta, Elisa A. Burgess, M.D., F.A.C.S. puede darte acceso para ver tu "nuevo yo" desde casa, con tu propia cuenta Crisalix. Esto te permitirá compartirlo con tu familia y amigos o con cualquier persona a la que quieras pedir opinión.